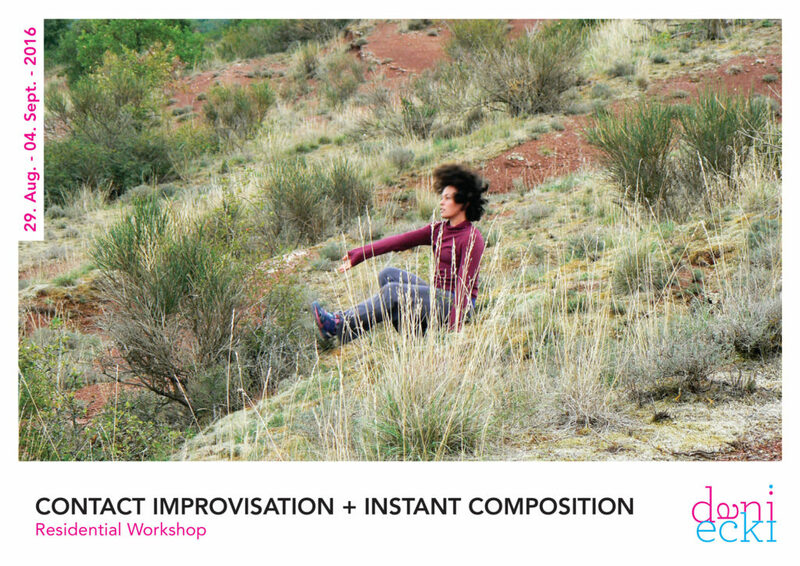 This workshop invites to immerse in the deepening of the practice of Contact Improvisation and Improvisation, by tuning to the subtlety of physical communication from the dialogue of the senses and through observational practices, perception and sensory work. What produces their different arrangements, and their different modes of relations? Between what I perceive, sense, touch, look, listen, imagine, think, which internal organizations are revealed, which compositions? Which movements are produced? Which sensations emerge, within the possible and potential relationships? 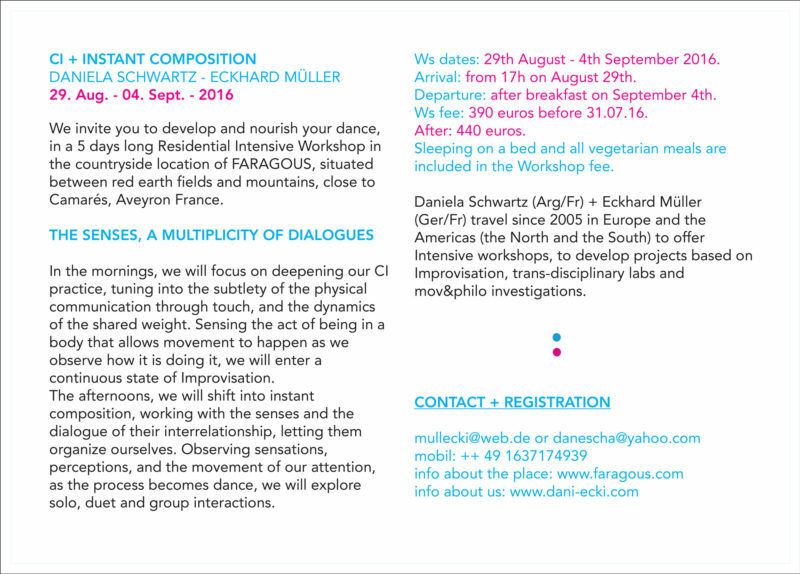 We will explore interactions in solo, duo and group to exchange, to “contaminate” and develop our practices of CI and Improvisation in dance.